E Morrissey Designs – you think it. we create it. I love nothing more than bringing ideas to life and delivering the finished product to clients when I said I would; or even before when possible! I am a creative nerd (DESIGNERD) at heart & can't believe how lucky I am to do what I love! I specialize in the ability of making complete creative sense out of an idea that’s been knocking around in your head! Let's bring your ideas to life! I was raised with strong values which I have carried into my business. Staying true to my beliefs drives me to create visually stunning finished products that will exceed your expectations and solve your design challenge. I work with clients remotely – wherever you are, I promise to make you feel like I’m right there by your side as we work on your project together! From Conception through Completion, whatever creative project you’re faced with, I Can Help! 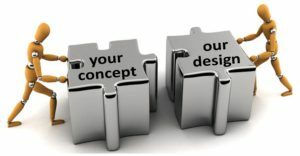 Prices vary greatly depending on the design requested and complexity of the project.